Somebody clearly has a thing for sunsets. A new chapter for the War Stories mode will be coming, this time it’s Kennedy’s War. In this alternate history timeline, US forces will directly engage the Soviets off the coast of Florida during the Cuban Missile Crises. Standard version will be made available as soon as marketing remembers they exist. In addition to these, last years tanks will be available for another Earn Op, and a fittingly themed “Monsters Awakened” game mode will be brought back from October 27th to November 1st. That’s all for now. As of this writing a small update has gone live in the hopes of improving the map rotation after the loss of several maps this summer. By most accounts though, it seems WarGaming has simply removed the tier restrictions from several maps. Hello Tier X Widepark! That Strv S1 skin is hideous. Who doesn’t want a tier X wide park again? It was so much fun last time. Back to naval actions legends closed beta for me. Hahaha I know, right – that STRV1 is dumb!!! It’s SOOOOOOOO STUPID and UNCREATIVE!!!! Why can’t Wargaming give us Historic paintjobs on the tanks like everyone asks for????? 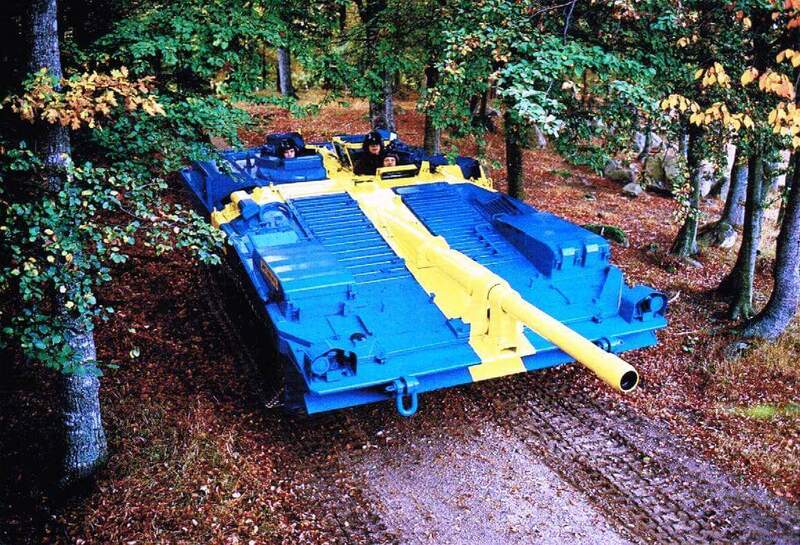 It’s an actual paintjob that was applied to an actual tank by the actual Swedish military? How on earth could anyone have known about that? One of the more famous special paint schemes applied to a military vehicle that shows up in the first 12 results of Google image search? Wow. It’s almost like people look for things they dislike and rail against them whether or not the complaint makes sense. Personally, my favorite part of these monthly Console Overview articles is how they’re just the press release posted by Wargaming but with any and all positivity replaced by negativity and derision. Not exactly, more replaced by the common sentiment of the community and some honest feedback replacing hype. Considering how much work is put into gimmicks (and sorry, being based on a tank in parade dress doesn’t make it any less silly) than into game optimization or balance improvements, and the developers actually removing large chunks of content, it’s more than fair that some actual honest feedback is posted. Nonetheless, I appreciate you going out of your way to make yet another new email just for the express purpose of commenting.